I had a few things to say, six months ago, on reading the story of a little-known Iranian woman named Mahvash Sabet. 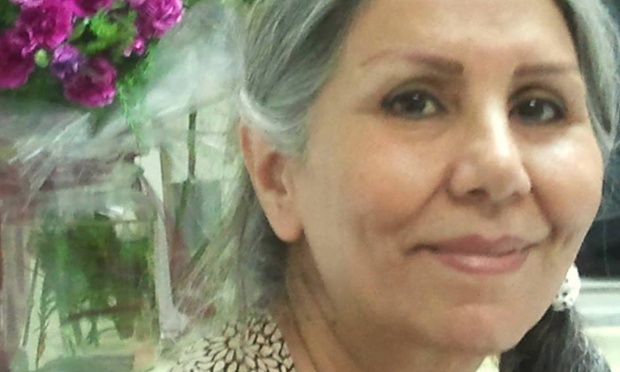 She was the focus, on May 14, for the international #7Bahais7Years campaign that tried to train a spotlight on her imprisonment, and those of six of her fellow Iranian Baha’is. Iran ought to be ashamed of itself. The world was briefly more aware of the Quietly Magnificent Seven, prisoners of conscience in Iran for seven outrageous years, but as of right this minute it’s now seven and a HALF years. There is no sign of their imminent release from an incarceration that would be ridiculous if it weren’t such a serious injustice, such an outright loss to Iranian society. So if you missed it, here I was, trying to get to know Mahvash a little better. Ms. Sabet was the first among the seven Baha’i leaders to be arrested, in March of 2008. These seven had taken on an ad hoc role of guiding and encouraging the oppressed Baha’i community of Iran, since its local and national institutions had been banned in the wake of the 1979 Iranian Revolution. Over a year after her arrest, Ms. Sabet was charged with “espionage” and “spreading propaganda against the [government]” in a kangaroo court proceeding, more of a political harangue than anything we’d recognize as judicial. There she is, and here am I, wondering about her life as I read a brief biography. Greyer, but what a kind, calm face.